When young college students get sick, they tend to visit home. 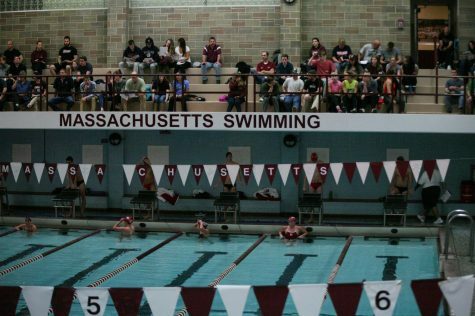 With the Massachusetts men’s and women’s swimming and diving teams are fighting various illnesses, they face a different sort of homecoming. Facing a SUNY-Binghamton team coached by two former Minutemen, both the Minutemen and Minutewomen hope to make it back-to-back home victories Saturday after sweeping Stony Brook last week. 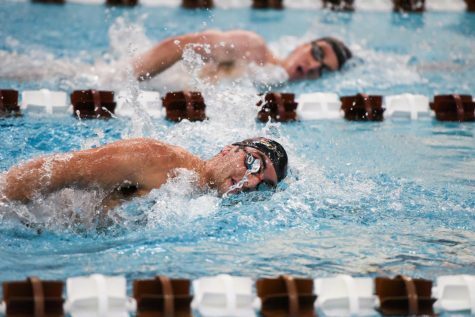 The Bearcats’ swim coach Sean Clark, a 1993 UMass graduate, was a freestyle and backstroke sprinter and co-captain his senior year. Also returning to Amherst is Binghamton diving coach Reuben “R.J.” Rappe, who was the captain of the ‘07-‘08 Minutemen diving squad. The water, however, is emptier than usual, with a sweep of illnesses reaching both sides of the pool, as well as the diving team. According to Newcomb, Clark mentioned having similar illness problems this week. “Between now and Saturday morning, things could change,” Newcomb said. “We’re just going to wait and see who’s healthy,” Yarworth said. If healthy, senior Juan Moliere, junior Jennifer Corriveau and freshman Amina Meho look to defeat close competition. 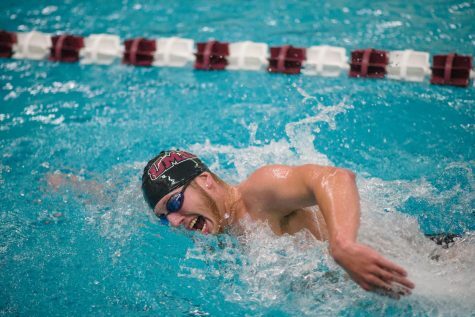 Moliere has twice finished at 21 minutes, 32 seconds in the 50-yard freestyle, less than a second faster than Binghamton’s Joseph Perez-Rogers. “[Corriveau] should have a great race,” Newcomb said of her 100-yard backstroke race. 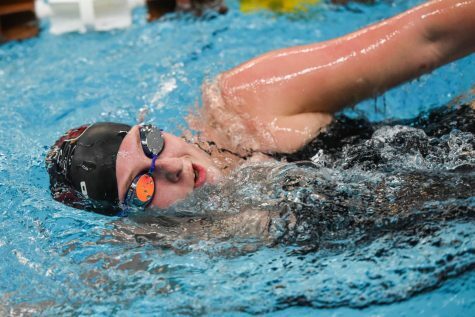 Corriveau’s most recent time (1:01.14 at Army) is just ahead of the number Bearcat Melissa Lindahl’s put up against Boston University last week (1:01.41). Bearcat junior Amanda Ciccone’s 24.11 in the 50-yard freestyle is just 0.23 ahead of Meho’s best time this past week against Stony Brook. “Forcing her to race will be good,” Newcomb said of Meho’s race against Ciccone. 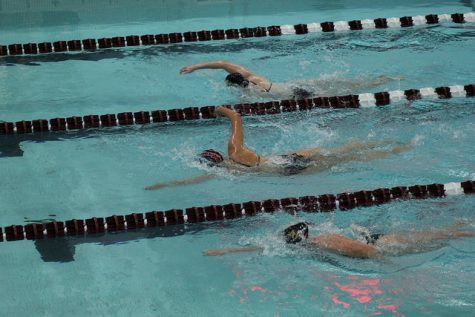 Both Bearcat swimming and diving teams lost last Saturday to Boston University, who the Minutemen defeated earlier this season. “They just weren’t at full strength,” Yarworth said of Binghamton’s loss to BU. Despite bouts of team ailment, this weekend will be a return home for both Clark and Rappe. Clark was part of three record-breaking relays as a member of the the Minutemen and was an assistant coach through 1996. He returned to Amherst in 2000 as an assistant coach, helping the team win four straight Atlantic-10 Championships. In 2004, Clark became Binghamton’s head swim coach, followed by Rappe four years later. Rappe was A-10’s Most Outstanding Diver in 2008, and held the one- and three-meter school records for UMass. Current sophomore Jason Cook’s three-meter score of 359.63 at BU last year beat Rappe’s best of 323.08, and this year Cook overtook Rappe’s record in the one-meter. Daniel Herberholz can be reached at [email protected].